Globally, many egg producers are making the switch from conventional cages to non-cage aviary systems for laying hens. The benefit of these open systems is that they allow the hens to move freely from feeders to perches and floors to nest boxes. For birds, this freedom means that they can perform natural behaviours, like ground pecking, scratching and dust bathing. There are downsides to these more open systems though. One of those downsides is piling, which leads to smothering where hens suffocate as a result. It’s a behaviour that poultry welfare researchers from the Center for Proper Housing, Poultry and Rabbits (ZTHZ) in Switzerland – a collaboration between the University of Bern and Switzerland’s Federal Food Safety and Veterinary Office – are trying to better understand. Led by PhD student Jakob Winter, the project has both explorative and experimental components. The explorative study looks at the underlying mechanisms and associated factors that lead to piling behaviour on Swiss layer farms. The experimental study will try to validate the factors the researchers believe cause piling behaviour. From there, they hope to develop preventative measures to curb the behaviour. Supervised by Ariane Stratmann and Michael Toscano, the project was funded by a grant from the Swiss Federal Food Safety and Veterinary Office. During the explorative part of the project, Winter and his team visited 13 Swiss farms with flock sizes that ranged between 1,000 and 8,500 birds. The farms were selected based on survey results. The researchers installed cameras and environmental data loggers to monitor temperature fluctuations and gas concentrations. They even made audio recordings to find out whether piling incidents might be triggered by sudden noises that caused the birds to run in alarm. In open aviary systems, smothering that results from piling is more common than one might think. In the explorative study, for example, smothering incidents occurred in eight of the 13 flocks. Seven of those experienced regular losses of two to five birds per week. 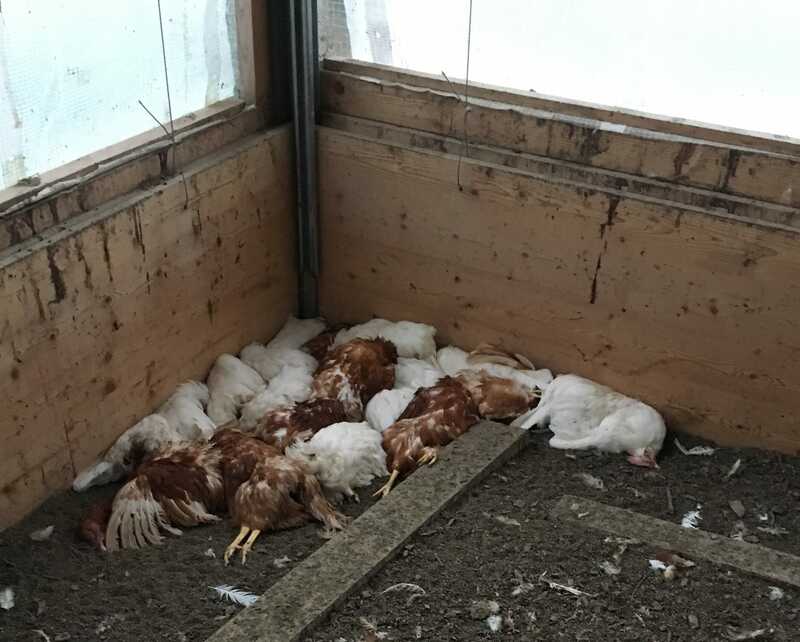 One farm lost 60 hens in one single smothering event, a loss that cost him approximately CHF 3,000. From barn to barn, the duration of piling events differed greatly. Some events lasted just 30 to 90 seconds. Others lasted as long as two hours and 40 minutes. There is increased risk in the longer-lasting piles, said Winter. The number of events per farm also varied. Whereas one farm experienced just one piling event per day on average, another one had 100 in one day. 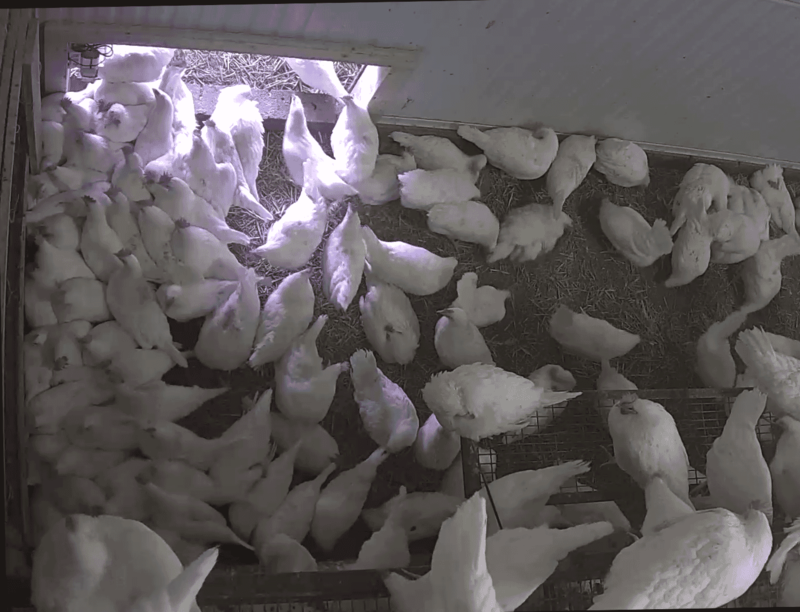 Factors that might contribute to piling include unevenly distributed barn light, temperature differences, sudden mass movement and attraction – as in, one hen pecks at something and raises the curiosity of the others. To test the potential cause, the researchers chose three factors – light, temperature and a novel object – that might trigger piling, set them up in a test facility and assessed the birds’ responses. All factors could be controlled and switched on and off at will. Currently, farmers struggle to disperse birds when they begin to pile, as they don’t have a humane dispersal method at their disposal – electric fences are not allowed in Switzerland. The researchers would like to consider different dispersal methods in a future project. 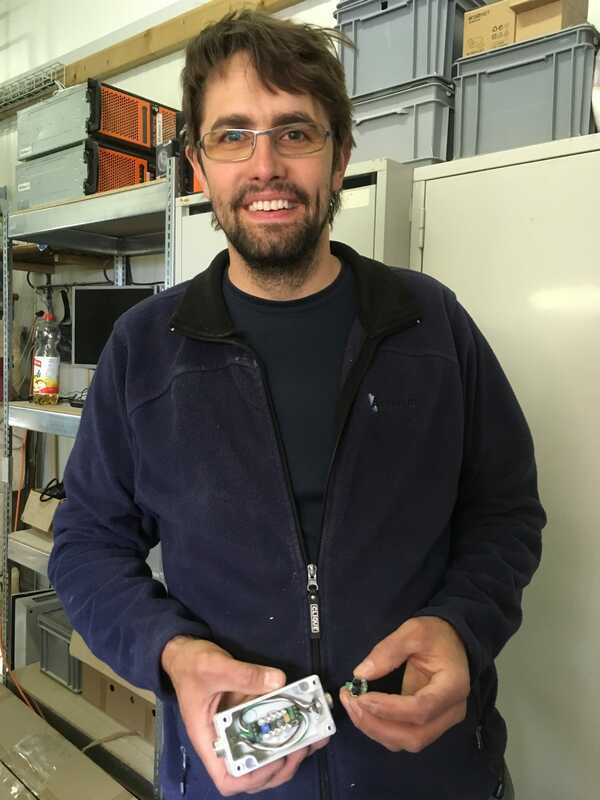 For the purpose of this experiment, on-site technician Markus Schwab assisted in the task of developing a welfare-friendly detection and dispersal system. When the infrared detection system he designed picks up on a piling incident, hens are dispersed using feed. This is what has kept them from smothering during the experimental phase. Until dispersal methods are developed, farmers will have to look closely at the layout of their barn to try to determine which factors are contributing to the piling event. Final results from Winter’s research will be available in the near future. If you would like to find out more, contact Michael Toscano at the Center for Proper Housing, Poultry and Rabbits (ZTHZ) at the University of Bern.